When Apple releases a major update of its operating system, we in the Macworld Lab update our overall system performance benchmark suite, Speedmark, to take advantage of the new OS. With Speedmark 9—the latest iteration—we’ve brought the suite into line with OS X Mavericks. In addition to refreshing the operating system that Speedmark 9 tasks run under, we’ve updated the individual applications to their current versions and increased the file sizes that some tests use. We’ve also updated our baseline system, the Mac whose performance results we use to compare the results of all other Macs. All results are scores. Higher scores are better. Stock configurations tested, except where noted. Not all models were available for testing.—Macworld Lab testing by James Galbraith and Albert Filice. To find out which system performs best overall, we use a Speedmark 9 score. This single result compiles the performance scores from the 14 individual tests and boils them down to a single number. Our baseline system, which is assigned a score of 100 and whose performance serves as the reference value that we compare the individual test performance of every other system to, is a 2011 13-inch MacBook Air laptop with a dual-core 1.7GHz Core i5 processor, a 256GB solid-state drive, 4GB of DDR3 memory and integrated Intel HD 3000 graphics. The strongest-performing Mac we've tested thus far is a custom-built Late 2013 Mac Pro with an eight-core 3.0GHz Xeon E5 processor, 512GB of flash storage, 32GB of DDR3 memory, and AMD FirePro D700 dual graphics with 6GB of dedicated video memory on each video card. That machine earned a Speedmark 9 score of 350. The slowest Mac we've tested on Speedmark 9 is a Late 2008 13-inch MacBook Air with a 2.0GHz Core 2 Duo processor, 2GB of memory, a 160GB SSD, and Nvidia GeForce 9700M graphics. It earned a Speedmark 9 score of 44. Speedmark 9 consists of 14 different application-based tests that can run on all shipping Macs. These tests are designed to measure the performance of various subsystems: CPU, GPU, storage, and memory. Here’s a breakdown of the individual tests that make up Speedmark 9. Mac OS X Finder tests: Three tests are involved: Duplicate 2GB Folder, Compress 6GB Folder, and Uncompress 6GB File Archive. The duplicate and uncompress tasks let us assess the speed of the system’s internal storage. Macs with flash storage and SSDs do much better in this test than Macs with traditional hard drives. The Late 2013 Retina MacBook Pros are the fastest systems we've seen so far on these measures, duplicating the 6GB folder in just 21 seconds and uncompressing it in 33 seconds. A 2011 Mac mini is the slowest machine we've evaluated on these two tests, taking more than 5 minutes to complete each. Compressing a 6GB folder is more of a CPU-oriented test than a storage throughput test. Times on this component of the benchmark have ranged from 240 seconds (by a BTO 2013 iMac) to 811 seconds (by a 2010 1.4GHz Core 2 Duo 11-inch MacBook Air). The bottom six systems in this test have all been 2010 and older MacBook Airs. iMovie 10.0.1: We work with slow-motion footage captured with an iPhone 5s, apply iMovie's enhance feature, and then export the project as a 720p QuickTime movie. As yet, the Late 2013 CTO 27-inch iMac is the fastest system we've seen on this test. The Xeon processors in the new Mac Pro don't support Intel’s Quick Sync Video technology, and the new Mac Pros consequently lagged behind systems sporting Core i5 and i7 processors on our iMovie 10.0.1 measure. HandBrake 0.9.5 64-bit test: This test involves encoding four chapters ripped from a DVD onto the hard drive, using the HandBrake’s default H.264 format settings. HandBrake is one of the few applications that makes full use of however many processor cores are available. As a result, computers (like the Mac Pro) that have a lot of processing cores shine on this test. Cinebench R15 CPU test: Maxon’s Cinebench CPU test isolates the Mac’s CPU. Like HandBrake and MathematicaMark, the Cinebench CPU test can take full advantage of all of the processor threads found in Mac of recent vintage. The 2012 Mac Pros with twelve cores (which the application sees as having 24 virtual cores, thanks to Intel’s Hyper Threading technology) were the top performers on this test—until we tested the new eight-core Mac Pro, with its fewer but faster cores. The new Mac Pro proved to be 10 percent faster than the previous twelve-core champ. Parallels 9-PCMark 8 Office application suite: Running PCMark’s Office Applications suite on Windows 8.1 Pro tasks a Mac's processor, RAM, and storage subsystems. A custom 2013, 27-inch iMac delivered the best results on this test so far. Adobe Photoshop Creative Cloud test: The Photoshop Action Script test involves running various filters and tasks with a 100MB file, as well as importing RAW files. Processors, RAM, and drive speed all come into play on this test. Again, our Late 2013 Mac Pro finished ahead of the pack, and a 2008 MacBook Air came in dead last. Aperture 3.5.1 test: The Import and Process 207 Photos test hits both the hard drive and the processor. The Late 2013 Mac Pro finished the test in 72 seconds, but the 2010 11-inch MacBook Air took 7 minutes, 41 seconds to import and process the photos. iPhoto 9.5.1 test: The Import 518 Photos test consists of importing 518 JPEGs from the hard drive into iPhoto. This test, too, stresses drive speed and processor speed. A 2010 11-inch MacBook Air took more than 10 minutes to complete this test. In contrast, the Late 2013 Retina MacBook Pro finished the test in 46 seconds—and the new Mac Pro took just 43 seconds. MathematicaMark 9 test: Like HandBrake and Cinebench’s CPU Test, MathematicaMark 9 takes advantage of all available processor cores on this Evaluate Notebook Test. Not surprisingly, the Mac Pros score the highest on this test—with the new eight-core model finishing first, followed by the 2012 twelve-core Mac Pros. Heaven and Valley Graphic tests: These Timedemo tests (run at 1280 by 800 resolution) gauge how well a graphics cards can handle modern 3D games. CPU can play a small role in performance, but these tests focus on GPU speed. In these tests, scores are expressed as frame rates (in frames per second); higher scores are better. No system has yet matched the new Mac Pro's frame rate of nearly 104 fps. The slowest Mac we've run through these tests is a 2008 13-inch MacBook Pro that managed a frame rate of only about 4 fps. 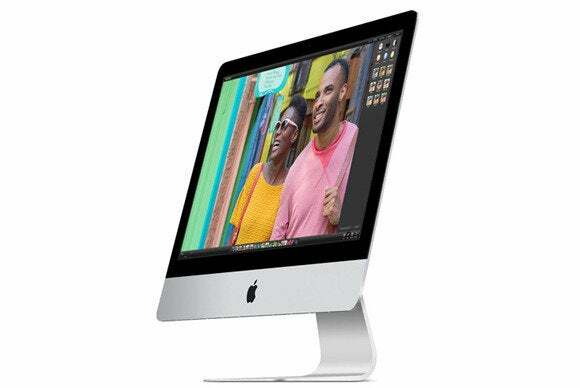 The price of buying an iMac just went down. But is a 15 percent lower price worth a 50 percent lower performance rating?